Two years ago today we received a phone call from my parents. They called to tell us that my sister-in-law was in labor. Yes, my little brother was going to be a father. We sat around waiting for updates to hear when the little one would be born. Finally, they called and announced that SG was here. The first little Princess of the next generation was here. The last two years have been amazing. I have watched my brother and sister-in-law become parents, seen SG learn to walk, talk, sing and dance. She has grown so much, just in the last year alone. Of course, the best part is when the kids are all together and play. Sadly, we do not live extremely close and only see each other a handful of times each year. Still, these times are treasured and lots of photos are taken. Last weekend we ventured out for SG’s second birthday party. Here are some photos of the memories from the day. Before the party started, the three cousins had fun being lions. They wore the lion masks around and had fun together. 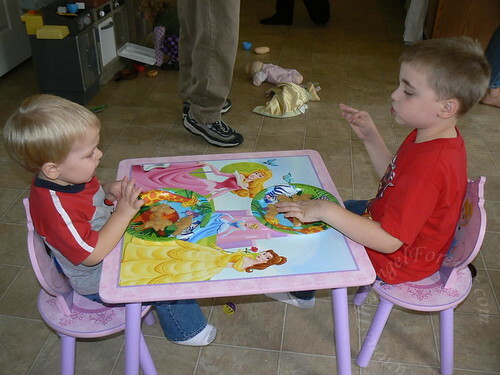 The boys enjoyed eating their dinosaur chicken nuggets at the Princess table. 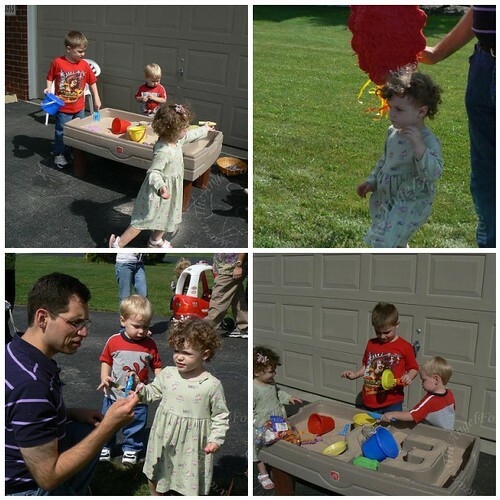 It was a gorgeous day, so the kids were able to go and play outside. They had fun with chalk, the sand, toys and even a pinata. Once the candy was out everyone enjoyed eating some while the kids made a lion face craft. When all of the candy was picked up, crafts were made and kids inside it was time to sing Happy Birthday to SG and cut the cake. 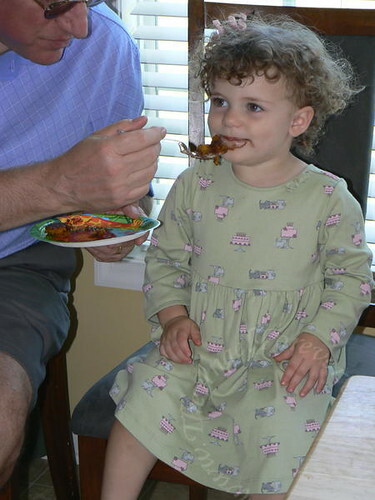 As you can see SG (and the rest of us) thought the cake her Mommy made was delicious. 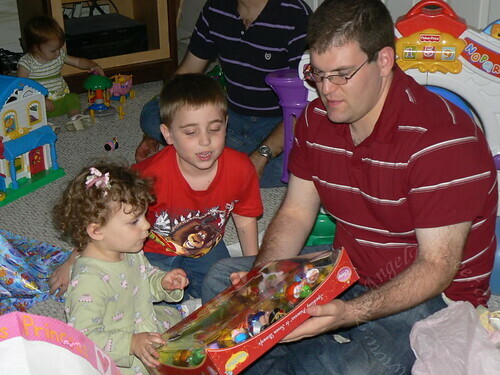 Soon after this SG opened up her presents. Now that she is a big girl she really understood everything about unwrapping and playing with new things. 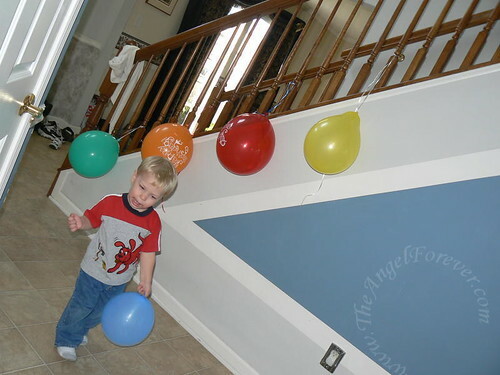 One of the big hits with the kids were the balloons. They seemed to keep all of the little ones happy and running during the time they were inside. Here is JSL running around with one. We all had a wonderful time at SG’s birthday party. We wish we could be with her today on her special day, but will have these photo memories to remember the fun. Happy Birthday SG, we all love you!